You can earn 820 yards with this purchase! 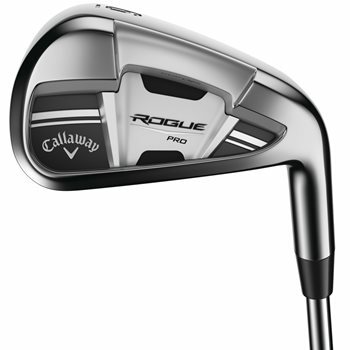 The Callaway Rogue Pro irons cater to better players with a compact head, thin topline, thin sole, shallow cavity and minimal offset to increase workability, trajectory control and impact feedback. The irons feature 360 Face Cup technology and Variable Face Thickness (VFT) technology that work together to deliver more ball speed across a huge area of the face for more average distance. The irons are Tungsten-infused ISW to concentrate weight in a specific area, allowing precise control over CG location for optimal flight and control while the Urethane Microspheres dampen vibration of the thin, fast face to improve sound and feel without compromising COR and ball speed.